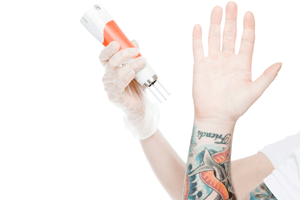 BlogHome » How many sessions of laser tattoo removal will I need? 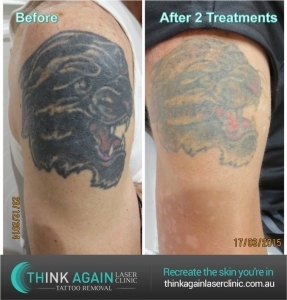 At Think Again Laser Clinic Sydney we pride ourselves in providing realistic expectations for our clients. 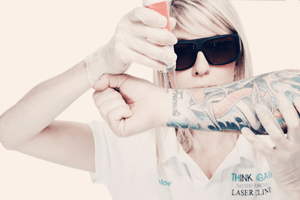 We utilise the most advanced technology in the world for laser tattoo removal and our Italian made Quanta Discovery Pico Plus. Laser plays an essential part in the removal process. Without high quality technology such as the Quanta, not only will the process take far longer, it also poses the risk of damaging the skin. If an inferior machine is used it is also likely visible ink will be left in the deeper layers of the dermis and due to lack of available power is then unable to be removed. 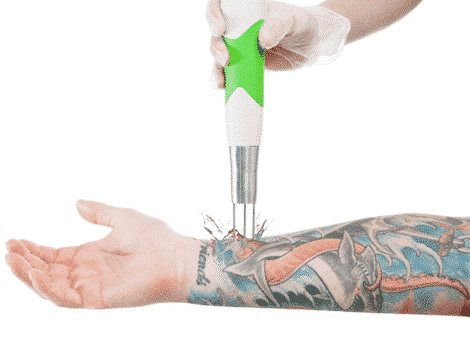 Unfortunately there are many machines on the market and that are being used all around the world that simply do not have the power capacity or necessary functioning to remove an entire tattoo. Replica lasers are being sold out of Korea and China for as little as $2000AUD while a good quality machine will cost in excess of $130k. 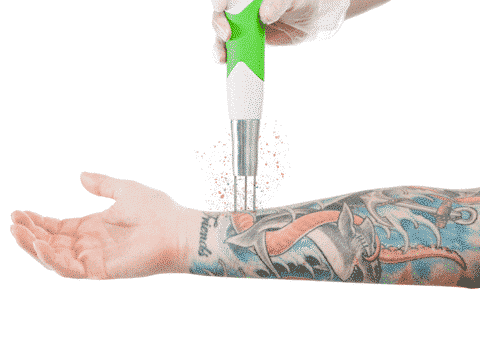 These cheaper lasers may scrape the surface layer of the tattoo ink but will not have the energy to pass deeper through the skin to attract the remaining tattoo pigment. A handful of our clients have come to us after being treated elsewhere and are upset that their expectations have not been met. Unfortunately many clients have a strict time frame they need the tattoo removed in, and have been let down by incapable clinicians who have not taken the above factors into consideration. This heavy inked twice cover up tattoo will have a very different removal timeline than a black mainly shaded tattoo. We have found quite a few places guaranteeing complete removal in 5 or 6 treatments or the remaining will be free. With reference to the above factors, no two tattoos will have the same outcome, so you have to ask yourself how they could make this guarantee with so many contributing factors?